Back when I was a young boy, the city of Logansport, Indiana held a yearly "Iron Horse Festival", featuring a large street fair/carnival, model train show and a live steam excursion train pulled by ex Buffalo Creek & Gualley 2-8-0 #13. She was reworked to resemble a PRR H class Conslidation sans Belpair fire box. The keystone on the boiler face had the L&ER lettering done just like the intertwined PRR was on thier engines. She pulled several open air older commuter coaches, mostly ex Rock Island. The festival went well for many years then the bottom fell out along with fast rising insurance costs for the steam locomotive. Amid public outcry not to, the engine was sold to the Ohio Central where she still resides in their roundhouse. The city has had a long standing offer from the OC to purchase back thier engine, but they really never have tried to raise the funds to do so. Thru research and help online, BC&G #13 was based on the C&O G9 class engines. The G9s had different cab and tenders on the C&O and only recently has a close non brass model been done by Broadway Limited. However that model lacks the odd driver spacing of the prototype. 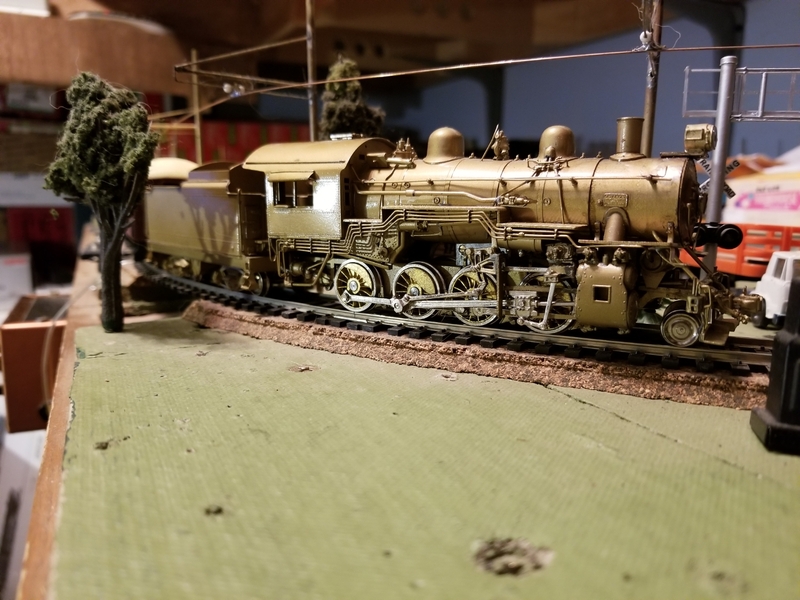 The first run by Rok Am for Overland models has the correct larger cab and the tender is very close to the original tender that came with the engine to Logansport. A slightly larger tender was swapped in, but the stock one from OMI is close enough. I removed the class lights and numberboards from in front of the stack, along with the centered headlight from the boiler face. I fabricated a plate from brass stock going by pictures of the No1 I found online. 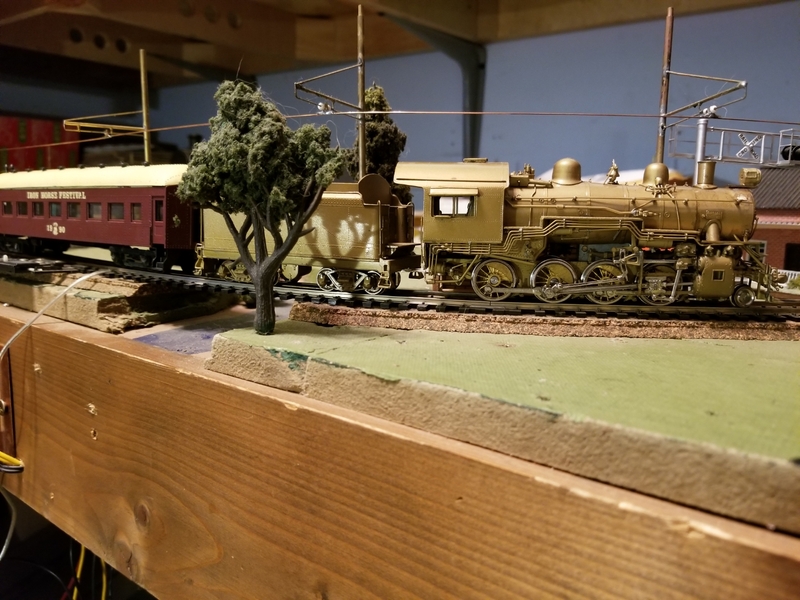 The actual plate was a piece of "C" channel but my set up is close enough in HO scale. A new headlight and PRR Keystone was soldered in place to complete the front end changes. There are a few other differences between the OMI model and the No1, but those are beyond my modeling abilities to achieve. Next up is painting the engine and installing the custom decals done by Cederleaf Graphics. There is one video on youtube of the excursion train(early days of VHS camcorders) and a few pics online. Here is my brass model, pulling my 1990 Iron Horse Festival car from MDC/Roundhouse. She runs smooth and quiet with a stock Sagami can motor and idler gear box. That is a nice model! Brass steam can’t be beat!